Breathe new life into your wardrobe in this sumptuous shirt by Eileen Fisher. 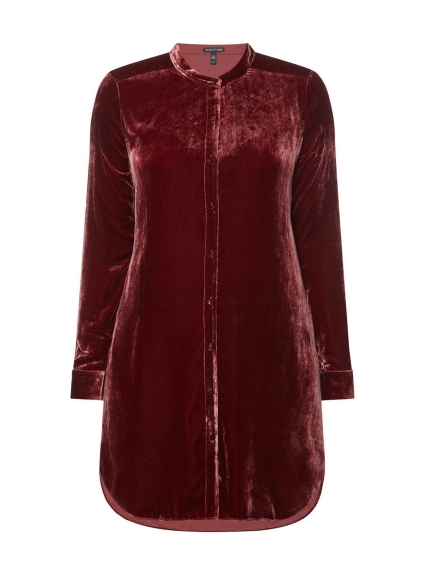 Crafted from luxurious dark monterey red velvet, it's cut to an exquisite relaxed fit and features a chic mandarin collar. Pair with slim-fit denim or smart trousers and flats for a versatile look perfect for any occasion.